This game depressed me for most of my Saturday night. I was watching the pregame and saw the light rain/cold and it made me nervous for playing Robby Anderson (more so because of Petty)…so I switched him out in a couple of spots he made sense. I thought about starting him over Tyrell Williams in a few spots, but I backed out due to weather. I then saw Matt Forte go active and talked about as the starter for the game, and I was pissed. I thought for sure Forte would be inactive, so I went heavy Bilal Powell all week for this game…and after Jimmy Graham hurt many teams on TNF, I couldn’t afford a dud from Powell as Forte went off. In several situations, I had to bench Powell because of Jimmy Graham (so Jimmy F’d me twice this week so far). I also watched the pregame and saw a fired-up Miami team bouncing around as the Jets wandered around like The Walking Dead. So, I switched my wagering scenarios to Miami -2.5. Downgrade on Robby, downgrade on Powell, switch off my pick of the Jets. Of course, the Jets drove right down and scored on the first drive…via a long Robby Anderson TD…aided on the drive by Bilal Powell looking great. I wanted to crawl in a hole and die. I could see Powell was going to ‘have a game’. The Jets looked fantastic. Anderson was probably going to score 3 TDs. The Jets then held the Dolphins on Miami’s first drive, and then proceeded to march right down the field again…led by Powell…into the Red Zone. I hated my mere existence. How could I be so stupid? That was thought I had right before Miami strip-sacked Bryce Petty and recovered the fumble, and went on a 34-6 run, never giving up a TD the rest of the way in laughable victory over the hapless Jets. It wasn’t hapless for about the first 5-10 minutes. I see so many games where a team marches right down the field and scores to start a game, and it’s ‘against’ what I want to happen in the game, and then I get depressed…and then the whole game turns the other direction for the final 50+ minutes. You’d think I’d learn by now not to get pseudo-depressed by the first drive, and most times I remind myself of that…but last night I was crying the blues early. Miami would go on to win. My Miami DST plays came up big. Anderson was shut down after that. Only Bilal Powell cut me like a knife catching every pass of the game it seemed…and I benched him in 50% of my scenarios. Couldn’t even enjoy the other 50%.Spencer Ware better have a huge game this week because that’s who I benched Powell for mostly (*Spoiler alert: Ware was OK, not Powell-good). This was a gigantic win for Miami. It’s coming down to Denver and Miami for the last playoff spot, and while Denver might be a better team…they have a killer schedule, including the Patriots this week. If New England has clinched things going into Week 17, and is heading to face Miami…and a Miami win gets the Dolphins in and keeps Denver out…what do you think New England will do in that game? Bet the house on Miami. Screw you Matt Forte (4-21-0). How could you hear cracking and popping in your knee last week, and force yourself to play this game? You had the perfect reason to sit and take care of your moneymaker! Instead, you push your way back so you can ‘start’…meaning one play, and then ‘gone’ most of the rest of the game. I was so worried the Jets are morons and would start Forte and roll with him like normal…and so I was forced to sit Powell in spots. I couldn’t afford a Powell dud risk. Forte shouldn’t even start anymore because he is an inferior RB to Bilal Powell (16-84-0, 11-78-0/12 targets). The Jets have wasted a lot of opportunity pushing average/past prime Forte and harnessing the superior Powell. Powell looked fantastic in this game. He was reeling off 5+ yard carries like nothing, and because Bryce Petty is forward-pass challenged, he looks to dump passes all he can…thus Powell with 11 catches on 12 targets. Fantastic effort by Powell, who looks to be the lead RB in 2017 if this coaching staff is back next season. I wonder if the much smarter Patriots will be sure to take out Powell in Week 16…because it’s all the Jets have with Petty at QB. — Robby Anderson (3-79-1/4 targets) popped that 40-yard TD early, and then disappeared. It’s not his fault as much as Petty’s. Take out the dump passes to RBs, and the Jets’ QBs (mostly Petty) completed 10 of 30 passes for 180 yards to everyone else not an RB. The early lightning strike to Robby was a stroke of luck. Anderson is really good, but Petty is not. Also note…Brandon Marshall…one catch on nine targets in this game. The Jets’ QBs are still too stupid to stop throwing to him when he’s drawing a ton of attention. The dumbest Jet is Ivy leaguer Ryan Fitzpatrick who is just embarrassing himself at this stage of his career. Only trumped in stupidity by teams paying him millions to be their QB. Fitzpatrick walked right into the game and predictably starting throwing most of his passes to Marshall, even though everyone and God knew it was going to happen. 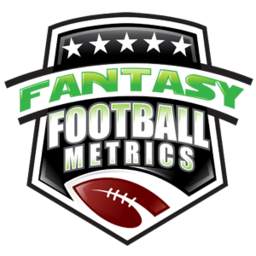 — After we all saw a game week, Week 14, where every top QB humiliated themselves and laid fantasy devastation in their path with their performances…it’s only fitting Matt Moore (12-18 for 236 yards, 4 TD/1 INT) will probably be the best QB in fantasy this week. Makes complete sense. I don’t think he’ll be as fortunate in the cold at Buffalo Week 16. — It was fun while it lasted, but you’ll have to wait until next season to see if Jay Ajayi (19-53-0) can be a fantasy stud behind a complete/healthy Miami O-Line and with Ryan Tannehill at QB. I’m a broken record on this, but once center Mike Pouncey went down and Tannehill lost, opposing defenses were going to stack the run even more. Ajayi simply isn’t that talented. He’s OK, and was getting a big push from the O-Line for a few weeks. Ajayi only works well for fantasy as long as the O-Line is healthy and Tannehill is at QB. It may never work again now that defenses are onto it. This caught teams by surprise when Ajayi busted out the multiple 200+ yard games. — The Miami DST came up huge this week – a fumble recovery, two picks, three sacks and a defensive TD on a blocked kick. Great play this week, but shakier with some hope at Buffalo next week. Speaking of DSTs…the Patriots DST versus the Jets in Week 16 is going to be white hot if Petty is at QB (depending upon his ribs), and still pretty hot with Fitzpatrick at QB. If Christian Hackenberg starts…it’s a tickertape parade for the Pats DST.